Good software is expensive, right? Wrong! If you have access to a decent internet connection, you can access some truly fantastic services on the internet for FREE. If you've ever been jealous of colleagues because of their fantastic slide-shows , then Prezi gives you a chance to go one-up on them. This online service lets you create animated presentations, where words, images and videos work together to present an idea in a virtual 3D space (you have to actually see this to believe it). Sign up for a free account, and you are given 100MB of storage. Creating a dynamic presentation is simple. You can choose from the myriad templates - and then, simply go with the flow: adding words, photos, audio narrations and videos. Since this whole service is on the web, you can directly insert YouTube clips and even images from the internet. Prezi is simple to learn; you'll be adding slides, images, and changing colour themes in no time. It should be noted that with a free account, all your presentations will be open to the public to view. 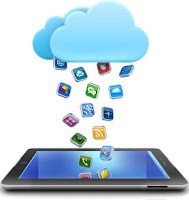 Sign up for a paid package, and you get up to 2GB of storage; you can keep your presentations private; and if you sign up for a Pro account, you can also download the Prezi Desktop software that lets you work offline without an internet connection. The best part, you can even create an online bio data or portfolio on this site to share with prospective clients over the internet. Pro music software - complete with loops, aural effects, virtual instruments, et al - can cost a pretty packet. And till recently, only professional musicians could afford such an investment. Soundation, however, is all about the democratisation of the music-making process. Sign up for a free account and you are given 100MB storage, your own powerful online studio with its mixers and effects, and over 700 loops and sounds. And although it's free, you still get all the functionality of a professional Digital Audio Workstation. Sign up for a paid account, and you get access to a premium library of sound files and instruments and up to 5GB of storage. Here, you can even record audio via your microphone, and upload the WAV file to Soundation servers to use in your mix. And in case you're wondering, Soundation comprises a detailed set of how-tos that will help you understand all the nuances of the software, even if it's your first attempt. Besides, it has an active community where you can post your compositions for others to listen to and comment. So you want to post professional quality holiday photos to your Facebook and Flickr account, but cannot because you don't know how to use imageediting software. Picfull to the rescue. This free cloud-based service provides a simple web interface that allows you to apply over 20 photo effects - each one with sliders and colour palettes - to edit your snapshot. Simply browse your PC's hard drive to upload the image you want to edit; choose the filter you want to apply; play around with the sliders that appear till you get the effect you desire; and hit Save. You are given a link to download your edited photo, or the option to directly email it to friends, or share on Facebook and Twitter. Given the number of online services and social networks available today for storing photographs, emails, and documents, keeping a check on all of them has become quite a bother. Backing up this data on the cloud is a bigger hassle. Try Primadesk. 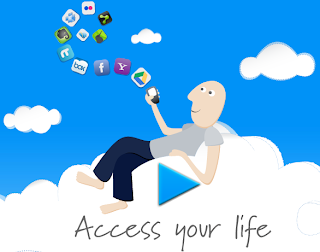 A free account provides you with 1GB storage and lets you manage up to five online services (Flickr, Dropbox, Yahoo!, Gmail, Google Drive, Evernote, Photobucket, Twitter, Facebook, MySpace, etc). Alternatively, you could opt for a Pro or Premium account that lets you manage more than five accounts - and provides you with up to 30GB of space. Figuring Primadesk is quite simple - it splits your accounts into documents, e-mail and photos. And like Windows Explorer, you also get the familiar folder pane that makes it easy to transfer or copy files from one service to the other. The backup process is also intuitive, and requires a one-time setup only. Content - whether its images, audio or video - comes in different formats. You have AAC, WAV, MP3, OGG, M4A, FLAC, AU, WMA, AMR... and this is in audio only. Some MP3 players, for instance, might not support FLAC. Or your Smart TV might not support FLV and MKV. In such cases, your only option is to convert the files to a format that's supported. But to do this, you no longer need to download any special software. Head to Convert Files - a service that lets you convert audio, video, image, document, presentation and archive file types to the data format of your needs. At last count, CF supported 335 possible conversions - and it's frequently adding more formats and combinations. Simply upload a file (max size: 250MB), and then from a dropdown menu, choose the format into which you want it to be converted. CF does all the dirty processing on its servers, to provide you with a link from where you can download your converted file. Uploaded files are destroyed immediately after being converted - and output files are kept on CF's servers for 24 hours only. Interestingly, you can also provide video links from YouTube, MetaCafe, MegaVideo, DailyMotion and Vimeo, and CF will create a downloadable video file for you. Even better, you can choose to extract the audio from the video file and convert it into a format like MP3. Trying to keep tabs on current affairs - visiting each and every bookmark you have saved on your PC - can be quite a task, especially if you have to open a new browser window for each resource. But it doesn't have to be so cumbersome. With Netvibes you can eliminate all this clutter. Simply add the websites you follow into the service by providing their RSS links to generate widgets for each entry. Furthermore, you can create tabs within this service and sort news widgets according to verticals like technology, sports, business, etc. Since Netvibes is cloud-based , you can check your feeds from any PC by logging in with your ID. Each tab's layout can be tweaked and you also get the added option of hosting a public page with news widgets of your choice - it's like a news bulletin curated by you. What we really like, however, is that you can also add your Facebook account, Twitter, and e-mail addresses, putting multiple sources of information right at your finger tips. Are you getting fed up of backing up your Instagram photos to Flickr and Dropbox every week? And would you prefer an easier way to post your Foursquare check-ins to LinkedIn without having to do it manually? If yes, then IFTTT (If This Then That) is the answer to your web woes. It is a resource that lets you automate a whole bunch of online tasks, saving you loads of time. First you need to activate the services you use - Picasa, Google Drive, Flickr, Instagram, etc - before you browse through the treasure trove of readymade actions. For instance, you could choose one that downloads and backs up Facebook photos you have been tagged in to Dropbox. All you need to do is activate the Facebook and Dropbox service within IFTTT and activate the task. You can edit these tasks or create new ones altogether. Don't forget to share them so others can also benefit from your nifty shortcuts.